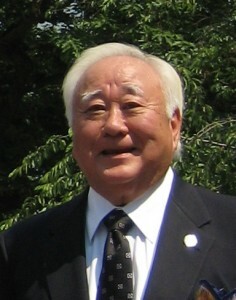 Washington, DC – Gerald Yamada, President of the Japanese American Veterans Association (JAVA), announced their new initiative to give back to the military community at JAVA’s quarterly luncheon held on March 23, 2013. Earlier this month, the JAVA Executive Council approved this new initiative. The plans are to use the October quarterly luncheon as a focal point to raise donations for a selected military charity that benefits veterans and their families. As part of JAVA’s Veteran Day Program in November, JAVA will present 100% of the donations to the selected charity. The JAVA Executive Council is in the process of selecting the charity to receive JAVA’s donation this year. The selected charity will be announced at the June JAVA Quarterly Luncheon.